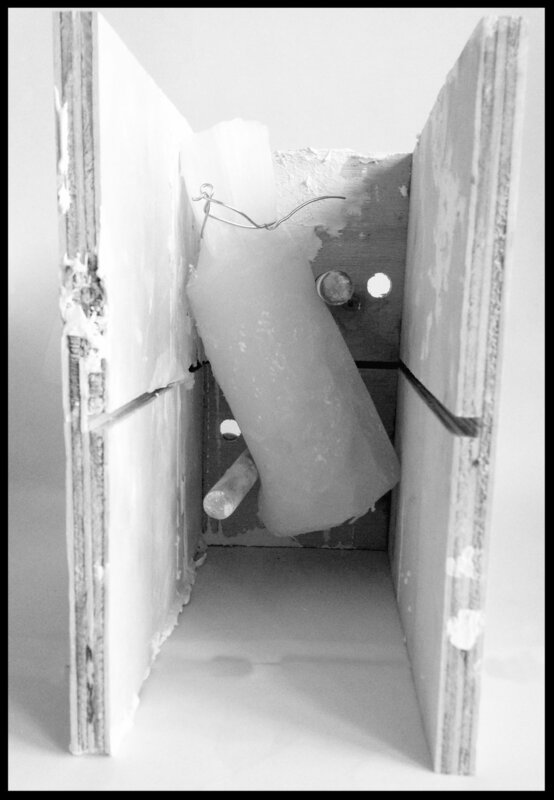 Plasternalysis is an exercise in form-finding through casting plaster within the confines of a rubber mold and a wooden jig. 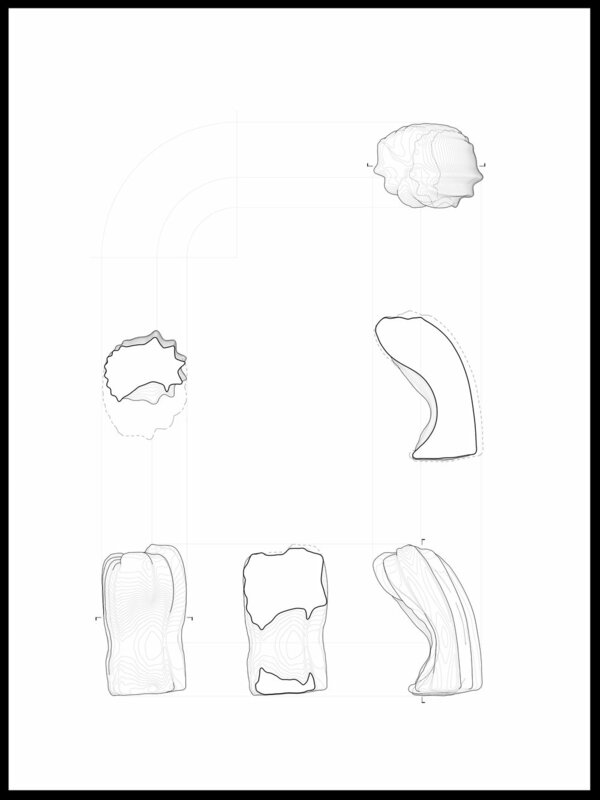 The result of this process is a family of unique but related plaster casts. 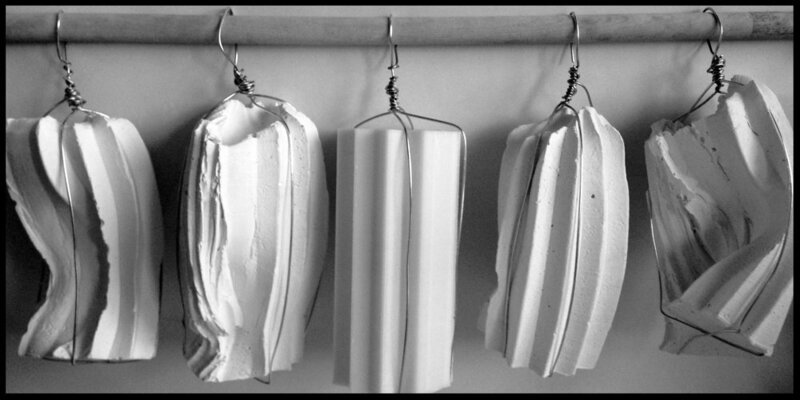 These plaster objects are formed by casting plaster in a rubber mold, which can then be manipulated, bent, and twisted through use of a wooden jig. The rubber mold was cast around a 3D printed object, which can be seen in the center of the photograph below.